World War One. My Family’s History. Today marks the centenary of Great Britain joining World War One. There have been salutes, flypasts, vigils, and tributes paid by all quarters, and much done to honour the dead. And quite rightly so; their sacrifices made possible our freedom, and we will all, ever, be thankful. My own family were surprisingly lucky during the war. My mother’s side of the family were all in India for the duration, and only started to drift back to Blighty at Independence, while there are little or no records from my father’s side. My grandmother (on my father’s side) however used to tell me tales of her father, my great-grandfather, and his time in uniform. When I was a child she would stroke my hair when she spoke to me of him, and tell me how much I reminded her of him… she described how his hair was exactly like mine… ginger and much like a wire brush. Apparently we have the same eyes, but I know mum’s side also lays claim to my (somewhat useless) ocular ancestry. Kelly was much luckier, and avoided the ginge altogether. The only records we have of Frank Kittle (Nan called him “Pop”, but then our grandfather was also “Pops”, so maybe this is a generational thing?) are some photographs and stories. The photograph of him before he went to the trenches shows a thin, nervous, smile, and a rather optimistic attempt to Brylcream down the wire wool with a side parting. 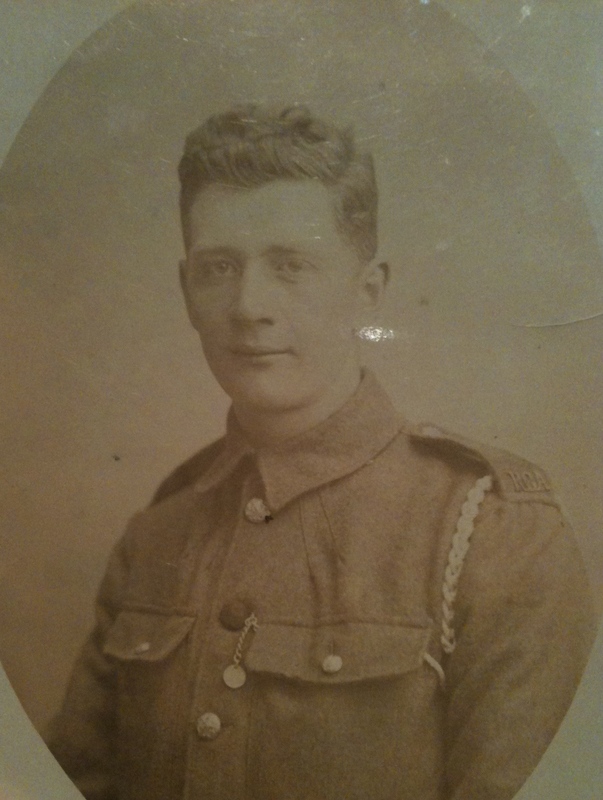 In the photo he must be in his mid 20’s, and has the badge of the Royal Garrison Artillery on his shoulder. 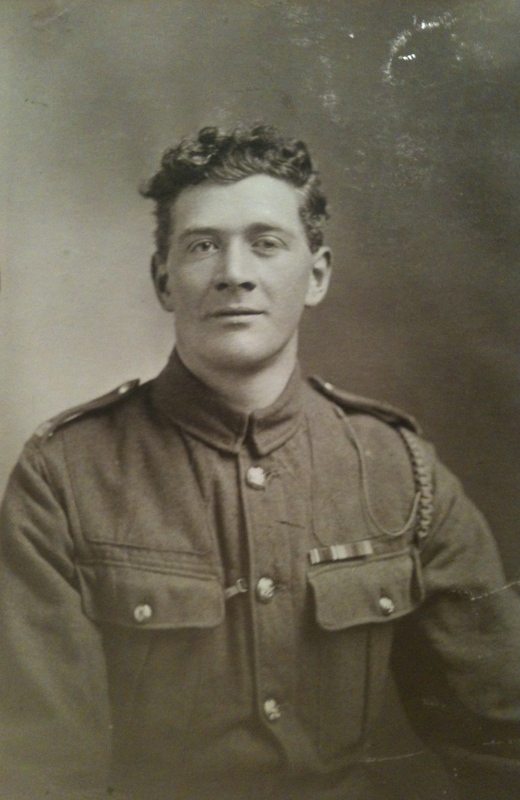 Shortly after the photo was taken, he was sent to France, and was gassed at the Somme while serving with one of the Brigades of The Royal Field Artillery. He was lucky to live, and was invalided back to his native Norfolk. He spent time recuperating from the effects of the mustard gas at hospitals in Bristol and Yarmouth, but had a hacking, rattling, cough ’till the day he died. A photo of him taken some years later, still in his uniform, shows a more confident face, and the slightest hint of a smile. His cough stayed with him all his life, and Dad describes how he was always ill and bronchial. He served as both a Policeman, and Fireman in and around Yarmouth during both the interwar period, and during the Second World War. There is a family story that describes how he was the only policeman on duty when a local fisherman caught a German U-Boat in his nets, and towed it into Yarmouth harbour. Pop took the surrender of the U-Boat Captain, and his crew, and accepted a set of binoculars as a token of friendship. While this may or may not be true, it does help to explain the Nazi U-Boat binoculars that have been kicking about for years! 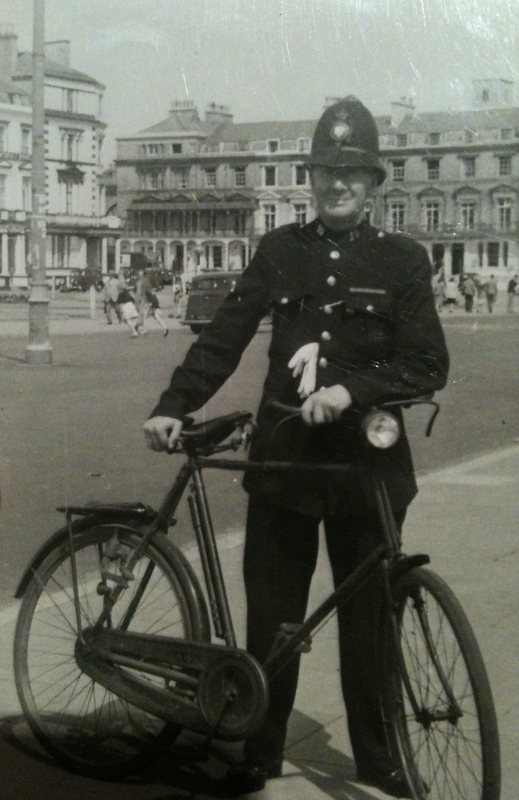 This is him in his Police uniform, with his bicycle. Thanks for getting in touch! Interesting to hear that you might be distant family, and do post any photos you might have! Best wishes, Tim.